Abstract: Low earth orbit satellites, with unique advantages, are prosperous types of navigation augmentation satellites for the GNSS satellites constellations. The broadcast ephemeris element needs to be designed as an important index of the augmented LEOs. The GPS ephemerides of 16/18 elements cannot be directly applied to the LEOs because of the poor fitting accuracies in along-track positional component. Besides, the ill-conditioned problem of the normal-matrix exists in fitting algorithm due to the small eccentricity of the LEO orbits. Based on the nonsingular orbital elements, 5 sets of ephemerides with element numbers from 16 to 19 were designed respectively by adding or modifying orbital elements magnifying the along-track and radial positional components. The fitting experiments based on the LEO of 300 to 1500 km altitudes show that the fitting UREs of the proposed 16/17/18/18*/19-element ephemerides are better than 10/6/4/5/2.5 cm, respectively. According to the dynamical range of the fitting elements, the interfaces were designed for the 5 sets of ephemerides. The effects of data truncation on fitting UREs are at millimeter level. The total bits are 329/343/376/379/396, respectively. 29/15 bits are saved for the 16/17-element ephemerides compared with the GPS16 ephemeris, while 64/61/41 bits can be saved for the 18/18*/19-element ephemerides compared with the GPS18 elements ephemeris. DE SELDING P B. Virgin, qualcomm invest in OneWeb satellite internet venture[EB/OL]. (2015-01-15). https: //spacenews.com/virgin-qualcomm-invest-in-global-satellite-internet-plan/. REID T G R, NEISH A M, WALTER T F, et al. Leveraging commercial broadband LEO constellations for navigation[C]//Proceedings of the 29th International Technical Meeting of the Satellite Division of the Institute of Navigation. Portland, OR: [s.n. ], 2016. MAINE K, DEVIEUX C, SWAN P. Overview of IRIDIUM satellite network[C]//Conference Record. 'Microelectronics Communications Technology Producing Quality Products Mobile and Portable Power Emerging Technologies'. San Francisco, CA: IEEE, 1995: 483. FOSSA C E, RAINES R A, GUNSCH G H, et al. An overview of the IRIDIUM (R) low earth orbit (LEO) satellite system[C]//Proceedings of the IEEE 1998 National Aerospace and Electronics Conference. Dayton, OH: IEEE, 1998: 152-159. JOERGER M, NEALE J, PERVAN B. Iridium/GPS carrier phase positioning and fault detection over wide areas[C]//Proceedings of the 22nd International Technical Meeting of the Satellite Division of the Institute of Navigation. Savannah, GA: ION, 2009: 1371-1385. JOERGER M, GRATTON L, PERVAN B, et al. 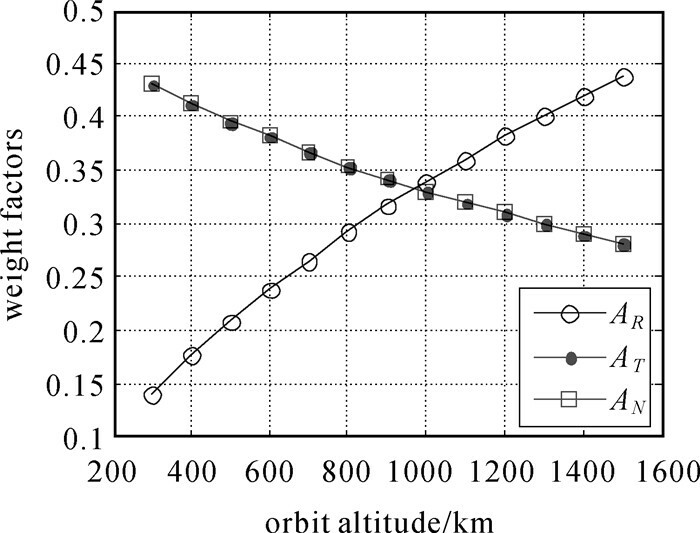 Analysis of iridium-augmented GPS for floating carrier phase positioning[J]. Navigation, 2010, 57(2): 137–160. 胡松杰. GPS和GLONASS广播星历参数分析及算法[J]. 飞行器测控学报, 2005, 24(3): 37–42. HU Songjie. Research on the broadcast ephemeris parameters of GPS and GLONASS[J]. Journal of Spacecraft TT&C Technology, 2005, 24(3): 37–42. 阮仁桂, 贾小林, 吴显兵, 等. 关于坐标旋转法进行地球静止轨道导航卫星广播星历拟合的探讨[J]. 测绘学报, 2011, 40(S1): 145–150. RUAN Rengui, JIA Xiaolin, WU Xianbing, et al. 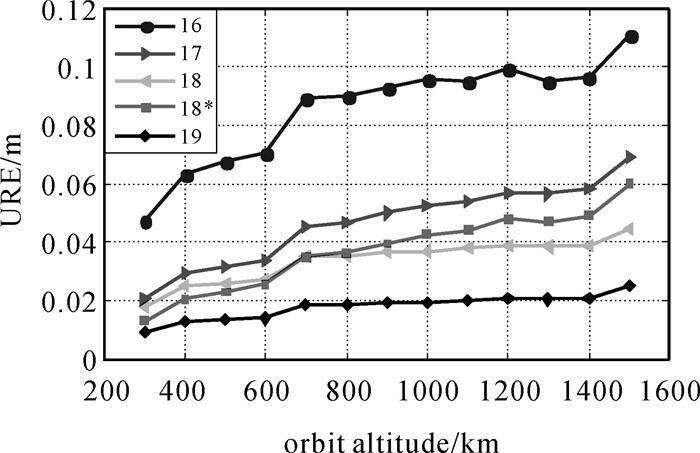 Broadcast ephemeris parameters fitting for GEO satellites based on coordinate transformation[J]. Acta Geodaetica et Cartographica Sinica, 2011, 40(S1): 145–150. 张中凯, 杜兰, 刘利, 等. GEO广播星历参数设计的无奇点根数法[J]. 测绘学报, 2014, 43(5): 452–457. ZHANG Zhongkai, DU Lan, LIU Li, et al. 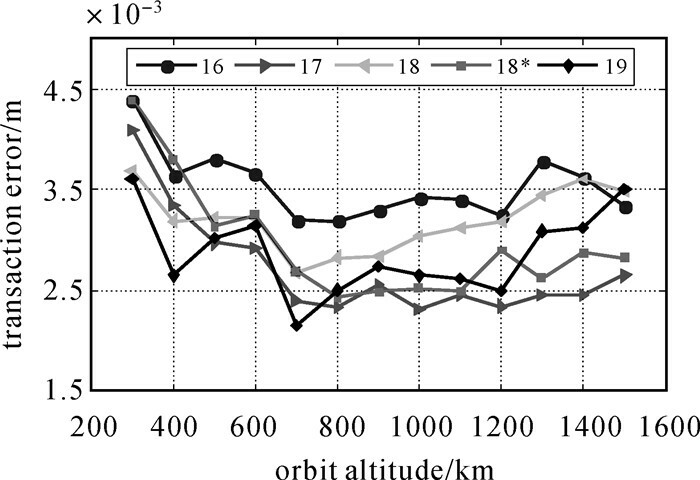 Parameter design of GEO broadcast ephemeris based on the nonsingular orbital elements[J]. Acta Geodaetica et Cartographica Sinica, 2014, 43(5): 452–457. 王鼎蔚, 杜兰, 郑勇, 等. LEO广播星历参数设计的无奇点根数法[J]. 测绘科学技术学报, 2017, 34(1): 31–37. WANG Dingwei, DU Lan, ZHENG Yong, et al. 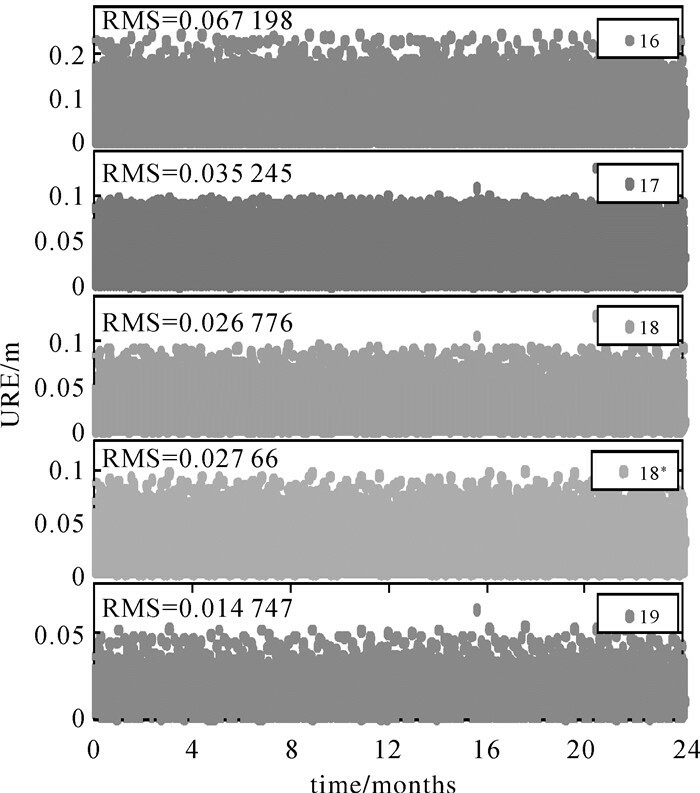 Parameter design of LEO broadcast ephemeris based on the nonsingular orbital elements[J]. Journal of Geomatics Science and Technology, 2017, 34(1): 31–37. 郭睿, 周建华, 胡小工, 等. 一种地球静止轨道卫星的快速恢复定轨方法[J]. 测绘学报, 2011, 40(S1): 19–25. GUO Rui, ZHOU Jianhua, HU Xiaogong, et al. 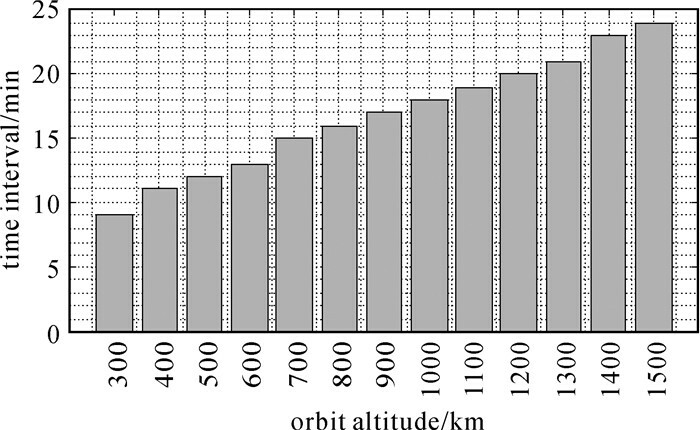 A strategy of rapid orbit recovery for the geostationary satellite[J]. Acta Geodaetica et Cartographica Sinica, 2011, 40(S1): 19–25. 罗璠, 李建文, 黄海, 等. BDS广播星历的轨道误差分析[J]. 测绘通报, 2015(2): 70–72, 91. 袁晓波, 张超, 杜兰. 基于第一类无奇点根数的LEO历书参数设计[J]. 测绘科学技术学报, 2016, 33(6): 572–576. YUAN Xiaobo, ZHANG Chao, DU Lan. Parameter design of LEO almanac ephemeris based on the first class of non-singularity variables[J]. Journal of Geomatics Science and Technology, 2016, 33(6): 572–576. 杜兰, 刘泽军, 周佩元, 等. 无旋转倾角的NAV/CNAV型GEO广播星历拟合[J]. 测绘学报, 2017, 46(3): 297–306. 韩星远, 向开恒, 王海红. 第一类无奇点变量的广播星历参数拟合算法[J]. 航天器工程, 2011, 20(4): 54–59. 方善传, 杜兰, 周佩元, 等. 低轨导航增强卫星的轨道状态型星历参数设计[J]. 测绘学报, 2016, 45(8): 904–910. 赵小阳, 李建成, 金涛勇, 等. ENVISAT-1卫星测高数据编辑标准的研究[J]. 海洋测绘, 2006, 26(6): 65–67. 常志巧, 胡小工, 杜兰, 等. 第二类无奇点根数的北斗历书参数设计[J]. 宇航学报, 2016, 37(11): 1298–1303. 陈刘成, 李静, 马瑞, 等. 工程化广播星历参数拟合算法与接口设计[J]. 武汉大学学报(信息科学版), 2011, 36(1): 18–23. CHEN Liucheng, LI Jing, MA Rui, et al. The Engineering design for broadcast ephemeris parameters fitting arithmetic and their interfaces[J]. 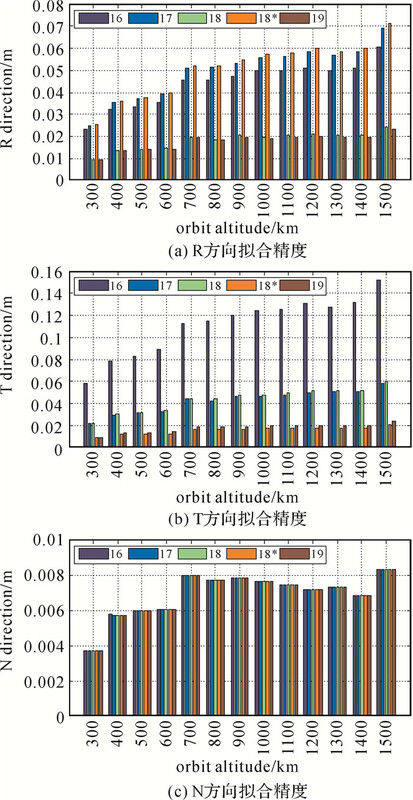 Geomatics and Information Science of Wuhan University, 2011, 36(1): 18–23.